North Canal Road is a place where the whole street is stacked with restaurants offering varied cuisines. I made my way to Communal for dinner – a casual American diner situated in Raffles Place. It has striking black marble steps at the entrance which lead into a brick long bar counter and some cozy booths. The place has limited seating and reservations are highly recommended. There are long bar-style seats on the pavement outside, but it can get humid as the meal progresses. The smoke around can disturb you a bit if you are sensitive. The menu encompasses everything – right from soups and salads to mains and desserts. They have an interesting set of salads and I went for the ‘Salad of Butter Lettuce’ which had a combination of beets and hazelnuts. The salad was well balanced as well had great texture and bite. It was a healthy start to the meal. We then ordered the ‘Vegetarian Sandwich’ stuffed with veggies and had fries as the side. The sandwich was well made and each bite was packed with flavor. The ‘Communal Burger Deluxe (C.B.D)’ is also highly recommended. I got lucky and was able to try the ‘Vegetarian Pasta’ which was their ‘Special of the Day’. 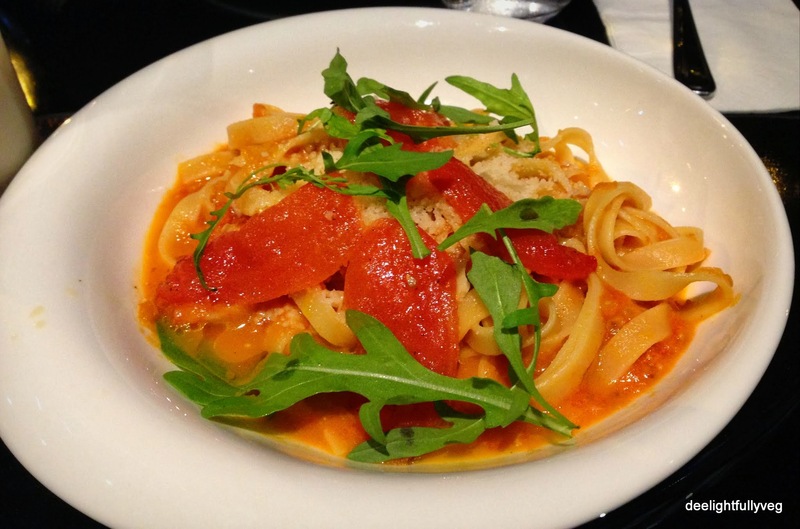 It was home-made pasta, which added to the taste and the sauce was clean and bright. It was also very visually appealing. Unfortunately I could not try their desserts, but their milkshakes seemed interesting. On the whole, there is definitely more potential to the place in terms of food offerings. Placing of fans on the outside for ventilation would help. The serving staff were very friendly. They have wallet-friendly Happy Hours in the evening from 7 -8 pm and offer lunch sets. The freedom to try different cuisines and yet stick to one’s roots of being vegetarian or drawing parallels between similar dishes from different cuisines adds another dimension from a foodie’s perspective. 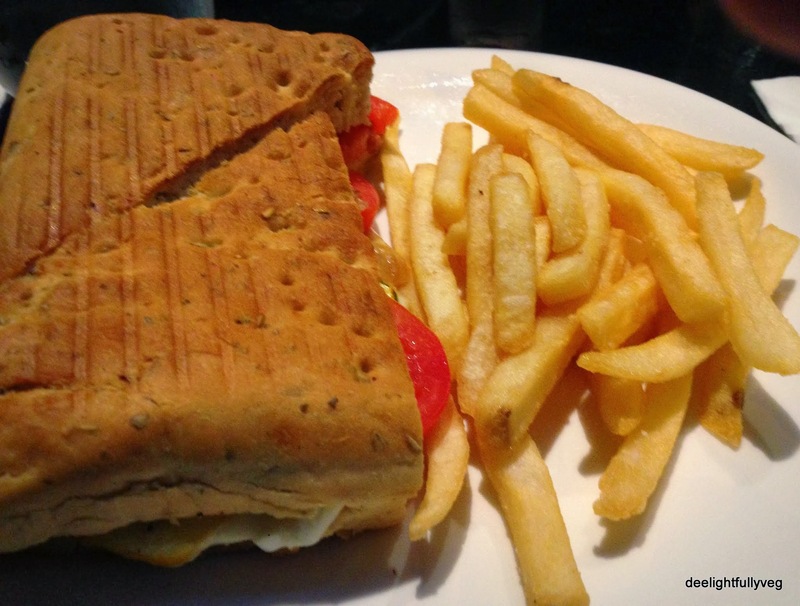 Posted on November 8, 2013 by deelightfullyveg	• This entry was posted in Restaurants and tagged Burgers, Closed restaurants, Raffles Place, Sandwiches. Bookmark the permalink.